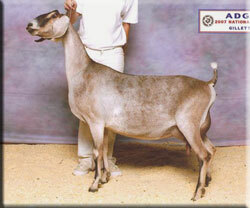 Roxie entering my herd was because of an unfortunate loss actually and I was offered Roxie as a replacement. Roxie is a very special girl. 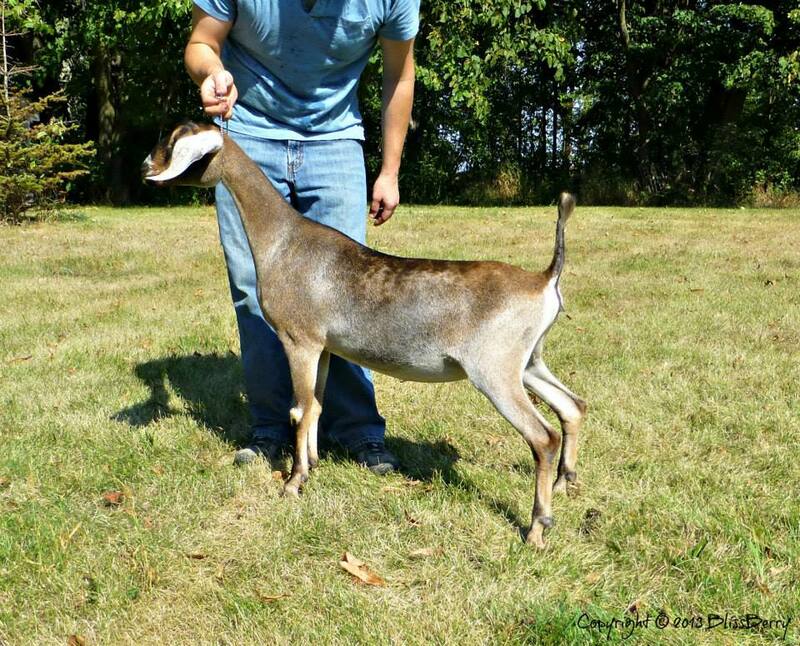 I had my hopes on someday bringing the Robin lines into my herd, but when she passed away I moved on to other herd ideas while always eyeing Roxie as a doe I might like a kid out of it. I was seriously so shocked and humbled when Roxie was offered to me. She is a beautiful doe in personality and breed character and fits in perfectly at my farm! 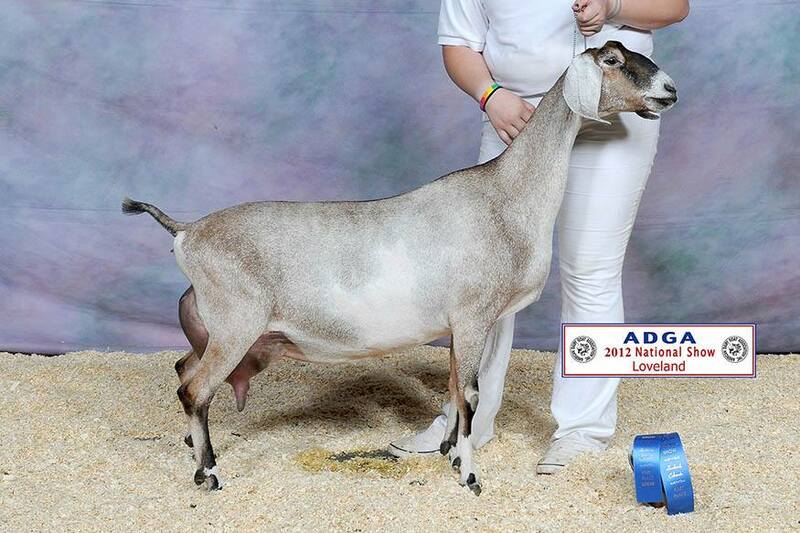 She freshened with a single for her FF, and since the move her production has been a little bit lower, but I fully anticipate her following in her mom and full sister/reserve national champion Rock My World's footsteps. 2017: Roxie continues to be stingy with kids, thus she doesn't freshen with a lot of milk. We're continuing to work with her to increase body capacity, kid numbers, and milk. All photos below courtesy of Sara Koehn-Walberg, Blissberry Dairy Goats.